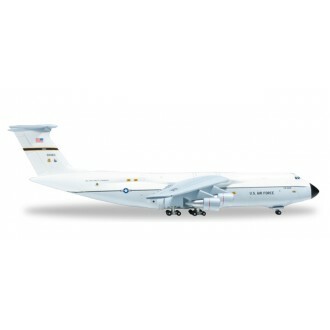 Dover Air Force Base in Delaware is still the home of one of the biggest aircraft ever built. 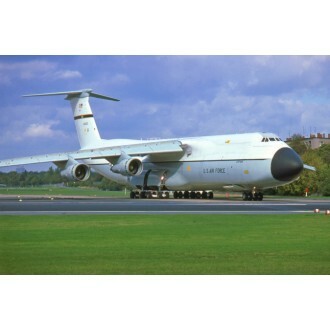 The base is one of six locations of the American Air Force where the gigantic Lockheed C-5 Galaxy with a length of about 75 meters and 68 meter wingspan is based today, handling a large part of the military's transport and support flights. 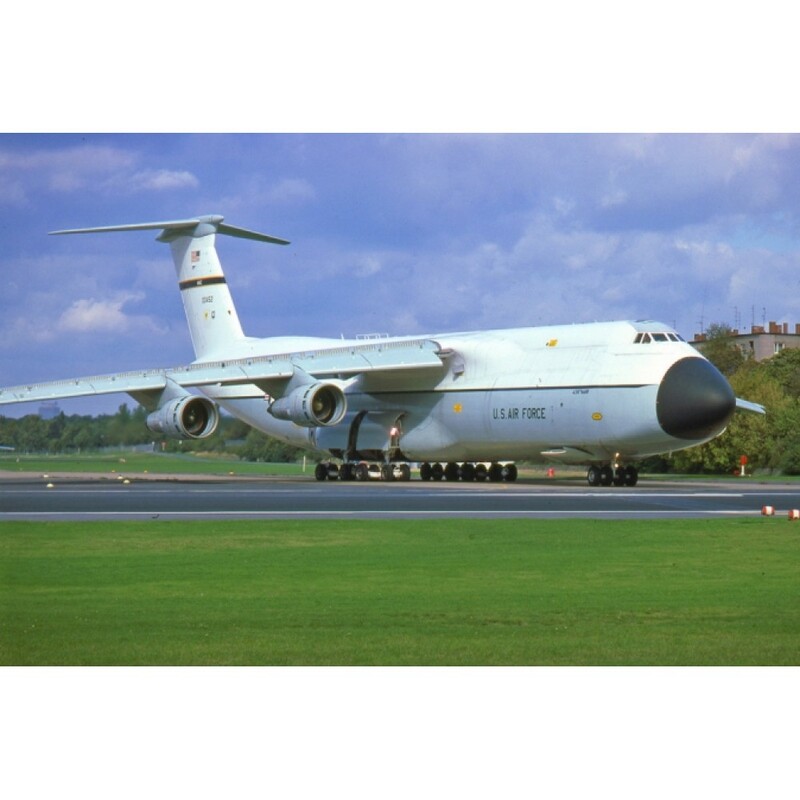 The Galaxy is ideally suited for this role, being capable of transporting bulky goods up to a weight 120 metric tons. Carrying half that payload, it can fly nonstop from America to Europe without the necessity of air-to-air refuelling. 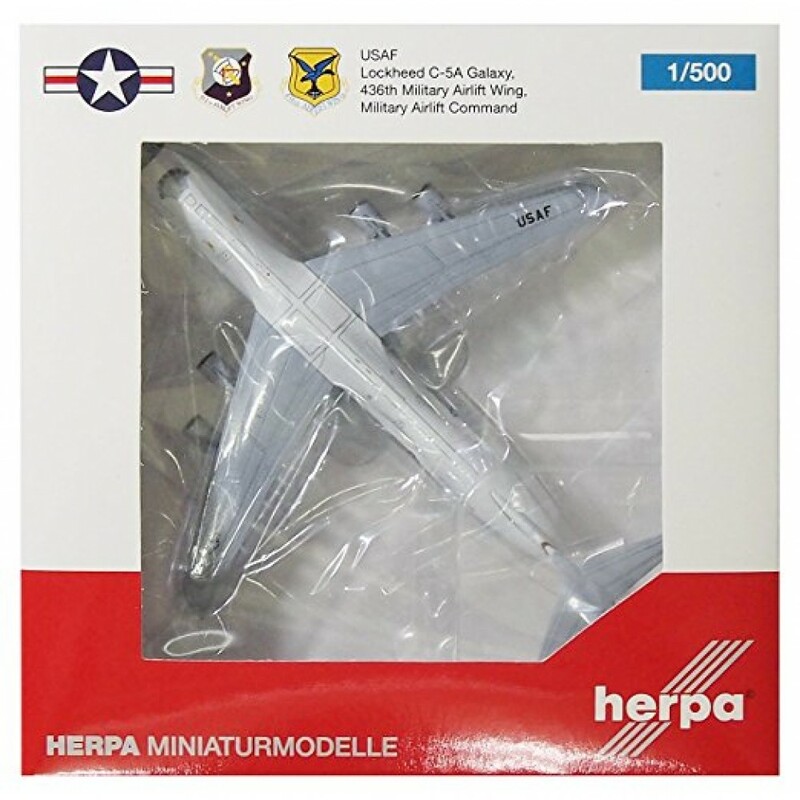 This model has an approximate wingspan of 13cm and is approximately 15cm long. 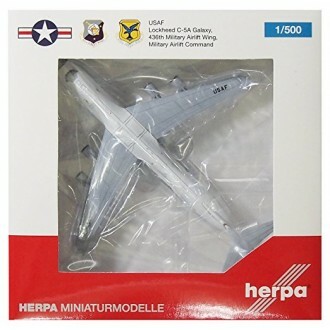 It is fully compatible with Herpa 1/500 Scale Airport Buildings and Accessories.